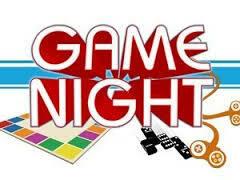 Please bring your spouse and join us for a couples game night! It's very casual fun for all. We ask that each couple bring a 6-pack of their favorite beer or bottle of wine and contribute $15.00 for the pizza and salad order. We can collect $15.00 (per couple, not per person) at registration with Paypal or you can bring cash night of along with your beverage of choice. Please RSVP by Friday, November 1st.